Website is up and running!!! The website is up and running, it is not fully complete but there is a section where you can contact our member who is looking after memberships at this time. 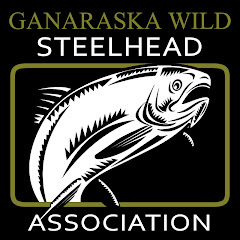 All the money raised from membership's will be used as a tool to improve The Ganaraska Wild Steelhead associations goals. Please become a member and help to resto...re this watershed to it's former glory. Without memberships and active members it will be impossible to reach our goals. The Ganaraska Region Conservation Authority is looking for volunteers to help plant 1500 shrubs and trees along the main branch of the Ganaraska River. The date is Saturday, May 8th at 9:00 to a.m.
At 4135 Kellogg Road, north west of Port Hope. Parking is available along the road. Please RSVP to Brian Morrison at bmorriso...n@grca.on.ca 905-885-8173 by Wednesday May 5th if you are able to help out. Also, please bring appropriate clothing, water in a water bottle, a shovel if you have one, and rubber boots or waders. We do have to cross the Ganaraska River, and have limited waders for people to walk across in. Well alot is happening since the last post. The single best thing is that we have got some good people together and have started The Ganaraska Wild Steelhead Association. The Association will be a member based association which will be dedicated to the preservation of the majestic Ganarska Wild Steelhead and The Ganaraska watershed. We will have dues to become a member of the association which will go towards enhancing the unique fishery that is The Ganaraska. All of our efforts will be volunteer. Right now we will be allowing anyone to post here. I don't know if that will change when we start accepting memberships or not. If you are interested in joining our association here is the link. Ontario’s fishing regulations and maximizing angling opportunities. should be analyzed using the criteria set out in the Provincial Approvals in Principle process. rainbow trout regulatory tool kit. to include many parts of the world (MacCrimmon and Gots 1972). In most of the Great Lakes, natural reproduction of rainbow trout was quite evident by the 1920s. through the 1940s and 1950s (MacCrimmon and Gots 1972). the development of strong populations throughout the Great Lakes. Relatively strong rainbow trout populations currently exist in all Canadian waters of the Great Lakes. quite suitable to this species and significant populations (and associated fisheries) have developed. fisheries. Opportunities to fish for rainbow trout became available on a year-round basis. options for more protective measures (Marion Daniels, pers. comm.). (GLFC 1997). Significant levels of natural reproduction of rainbow trout occur in all the Great Lakes. change following potential revisions to Fish Community Objectives for an individual lake. year class and maximizing adult population size (J. George pers. comm.). pressure away from heavily exploited waters. respectively (Economic and Policy Analysis Directorate 2003). to spawn are composed of fish of a variety of ages and sizes (MacCrimmon and Gots 1972). gravel substrate for nest construction. Occasionally there is evidence of shoal spawners. usually at much smaller sizes than anadromous fish (MacCrimmon and Gots 1972). and Gordon 1981; Seelbach 1993; WDNR 1998). 2,000 eggs per kilogram which are fertilized by attendant males (DuBois and Plaster 1989). outnumber males in the spawning population often by 2:1 or greater (Hassinger 1974, Biette et al. females arrive on the spawning grounds (Gonder 2005). mortality is approximately 20% for females and 40% for males (Dodge 1967, J. George, pers. spawning runs (Dodge 1967, Biette et al. 1981, Swanson 1985, Seelbach, 1993). George (pers. high repeat spawning numbers and strong year class recruitment in Portage Creek, Lake Superior. nine exceptions by waterbody (Table 2 and Appendix 1). Table 2. Open season exceptions for rainbow trout in Ontario. Several streams and river in FMZ 16 and 17.
fishing for rainbow trout during a closed season while claiming to be targeting other salmonids. (combined with the north shore of Lake Huron) they have characteristics similar to southern Ontario. and river mouths should be maintained. Table 3. Recommended zone-wide open season dates for rainbow trout in Ontario. Catch limit is defined as the number of fish that an angler is allowed to catch and keep in one day. realistic expectation regarding biological capacity of the rainbow trout resource. catch limit is the same as the possession limit. 30, 31, 32, 33 (except L.
21(L. Superior tribs. ), 33 (L.
licence) for rainbow trout in Ontario (OMNR, 2005). not improved with a two fish limit that was also adopted in 1999. (J. George, pers. comm.). fishing licence or a conservation licence appears to have improved the fisheries in many streams (J.
in the lower Grand River have also resulted in improved rainbow trout populations (L. Halyk, pers. angling opportunities as well as Lake Erie. a sport fishing licence and 0 fish for holders of a Conservation licence. the limit in all Great Lakes FMZ’s depending on the results of public consultation. knowledge of growth rates, maturation schedules and recruitment for an individual fish population. density of brood stock and where natural recruitment is low. • Only one type of size limit regulation should be utilized on an individual waterbody. • Do not vary size limits over the course of the angling season. trout in Ontario (Table 3). minimum size limit (rainbow and brown trout). minimum length of 69 cm. the size restriction has not be validated (L. Halyk, pers. comm.). The use of a protected slot regulation for rainbow trout was proposed for Lake Huron in the 1990s. tool for rainbow trout in Ontario. additional reductions in harvest levels are necessary. of this type of regulation. evaluated and shared with other managers. in nature or extend for the entire year. undoubtedly had the main purpose of protecting spring spawning rainbow trout. areas, areas immediately downstream of barriers, etc.). following date: Last Saturday in April to May 31.
biological criteria and with well established objectives. air and water temperatures, air exposure, and the amount of handling. regulations include the use of artificial lures and barbless hooks in combination or individually. River has fishing gear restrictions which have generally made it more difficult to catch rainbow trout. dramatic results in increasing both spawning biomass and recruitment of rainbow trout. Currently there are no restrictions on the use of roe (fish eggs) when angling for rainbow trout. released which likely significantly reduces survival. action. The development of a DNA database for wild rainbow trout would assist in prosecution. Currently retail outlets selling roe claim that they purchased the eggs from private hatcheries. exceed current bag limits when collecting eggs. quality angling experience or where there are serious conservation issues. on best handling practices and methods of releasing fish. trade of wild fish roe. Fisheries and Aquatic Sciences 38: 1759-1771. Creek, Lake Huron. M. Sc. Thesis, University of Guelph. Guelph, Ontario. 126 pp. Research Board of Canada 27: 613-618. Lake Superior tributaries. Transactions of the American Fisheries Society 118: 311-316. Economic and Policy Analysis Directorate. 2003. 2000 survey of recreational fishing in Canada. Analysis Report No. 168. Ottawa, Ontario. 86 p.
Resources. Thunder Bay, Ontario. 28 p.
fisheries. Ann Arbor, Michigan. 42 p.
Natural Resources. Owen Sound, Ontario. predators. Transactions of the American Fisheries Society 62: 238-248. Hassinger, R.L., Hale, J.G. and Woods, D.E. 1974. Steelhead of the Minnesota North Shore. Technical Bulletin 11. Minnesota Department of Natural Resources. St. Paul, Minnesota. 38 pp. of Natural Resources. Maple, Ontario. Klein, W.D. 1965. Mortality of rainbow trout caught on single and treble hooks and releases. Lake Superior. Transactions of the American Fisheries Society 110:210-215.
in Normandale Creek of Lake Erie. Journal of Great Lakes Research 7: 155-161. Natural Resources. Toronto, Ontario. 66 pp. Mongillo. P.E. 1984. A summary of salmonid hooking mortality. Fish Management Division. Washington Department of Game. 46 p.
Summary. Queen’s Printer for Ontario. Toronto, Ontario. 88 p.
Reingold, M. 1975. Effects of displacing, hooking and releasing on migrating adult rainbow trout. Transactions of the American Fisheries Society 104(3):458-460. Research Board of Canada. Ottawa. 966 p.
Michigan. Transactions of the American Fisheries Society 122: 179-198. Natural Resources. Madison, Wisconsin. 26 pp. Taylor, M.J. and K.R. White. 1992. A meta-analysis of hooking mortality of nonanadromous trout. North American Journal of Fisheries Management 12:760-767. Turek, S.M. and M.T. Brett. 1997. Comment: Trout mortality from baited barbed and barbless hooks. North American Journal of Fisheries Management 17:807. Ministry of Natural Resource. Peterborough, Ontario.82 p.
Natural Resources. Madison, Wisconsin. 8 pp. Gonder, David. Management Biologist. Upper Great Lakes Management Unit. Lake Huron Office. Weltz, Donald. Conservation Officer. Upper Great Lakes Management Unit. Lake Huron Office. Appendix 1. Ontario waters currently having open season exceptions for rainbow trout ..
• (3) Fifteen Mile Creek. (Queen Elizabeth Way to L.
• (3) Forty Mile Creek. ( Queen Elizabeth Way to L.
• (3) Sixteen Mile Creek. (Queen Elizabeth Way to L.
• (3) Twelve Mile Creek. (Lakeport Road to L.
• (3) Twenty Mile Creek. (Queen Elizabeth Way to L.
Queen Elizabeth Way bridge downstream to L.
Ontario and from the north side of the Dundas St.
• (4) Oakville Creek. (Sixteen Mile Ck.) (Hwy. 2 to L.
• (4) Pottawatomi River. (intersection of 15th St. W.
from lowest edge of Sauble Falls to Lake Huron). • (4) Spencer Creek. (Hwy. 102 (Cootes Dr.) to L.
• (4) Telfer (Bothwell’s) Creek. (bridge on County Rd. (southerly limit of the C.N.R. right-of-way to L.
Conc. III, Charlotteville Twp., to L. Erie). • (4) Nine Mile (Lucknow) River. (County Rd. 86 to L.
fished downstream of the south side of the C.P.R. between Hwy. 2 to the southerly limit of the C.N.R. First Saturday in May- September 30 (4) Maitland River. • (18&19) all tribs of Lk. • No live organic bait allowed. • Only artificial flies can be used as bait. • Barbless hooks must be used. and the Robbins/Hartington Township line.